Brand new Genuine Ledlenser P14 torch has a great run time of up to 50hrs on lowest setting, using 4 'AA' alkaline batteries. With a maximum 800 Lumens, and a maximum range of 350m this torch is great for a range of uses. Ledlensers advanced focus system allows seamless transition from low beam to a sharply focused high beam. 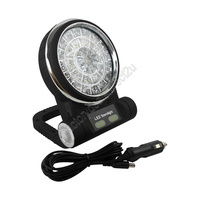 The powerful light output and ease of use, makes this suitable for all uses and users.